Marcia Williams retells one of Shakespeare's best-loved plays in her trademark witty, accessible style perfect for younger children. 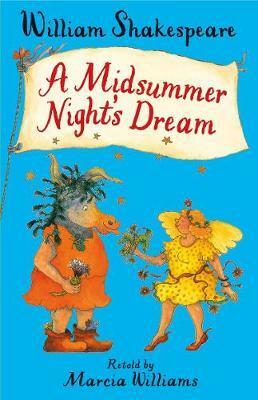 Marcia Williams retells one of Shakespeare's most loved plays in this adaptation for younger children. With witty illustrations, accessible language and dialogue from the original manuscript, this is the perfect introduction to Shakespeare for those encountering his work for the first time. Whether you're about to watch, study or perform A Midsummer Night's Dream, or are just in need of a wonderful story, Marcia Williams brings William Shakespeare to life. Discover the magical exploits of the fairies, follow four young lovers as they venture into a forest, and laugh at the mishaps of Bottom and his acting troupe. The course of true love never did run smooth!